Mizuno reckon optimising driver launch angles and spin rates can make the difference or 20 or 30 yards. So they’ve created their most adjustable driver ever, to allow you to dial in spin rates and launch angles best suited to your game. Two 8g weights in the sole can be split between either a central track to lower or increase launch angle and spin or positioned in toe or heel slots to create a draw or fade bias. A sliding “face angle prop” lets you choose how the driver looks at address without affecting loft. 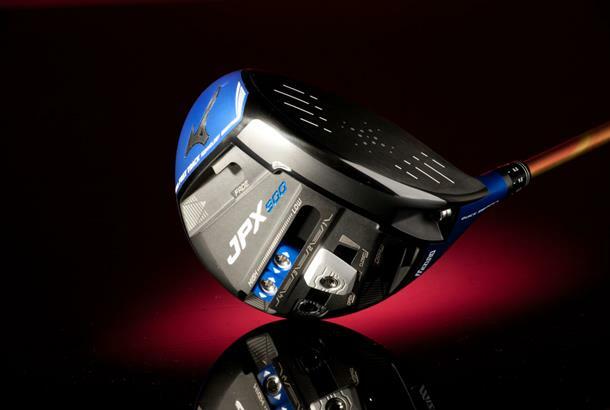 Our test pro reckoned the Mizuno JPX 900 driver is by some way the best driver Mizuno have ever made. 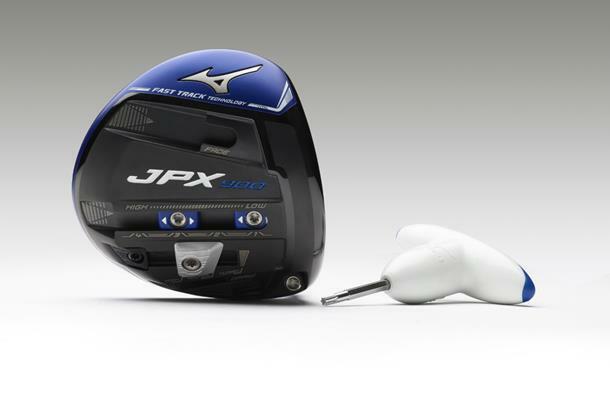 Yes its blue head has so many different settings you’re likely to need a physics degree to set it up correctly (and if you don’t we saw the potential to lose 18 yards of carry distance) but for those wanting to take the time to dial in their perfect driver set up the Mizuno JPX 900 is seriously good. We can’t say we saw our quickest ball speeds or longest carries for any tester, but for our test pro found using the JPX’s sole weights in both the draw and fade bias slots he effectively created a toe and heel weighted driver which was very efficient at protecting ball speeds. You won’t find many Mizuno drivers played on tour as they don’t pay players to use them, but we like how their engineers have worked really closely with their tour staff on the Mizuno JPX 900 driver. The “face angle prop” lets you set up how your driver sits, it clearly comes from the tour and is really useful if you’re very particular about how your driver looks at address.